Exploration no. 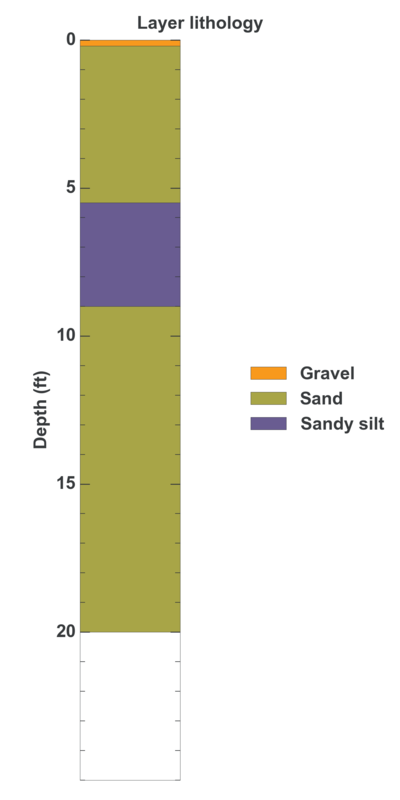 31133 is a Boring / probe (depth 20 feet) named: 58-PA-57 described in subsurface document no. 5397. The document, a report titled Fort Lawton Foundation Exploration was prepared by U. S. Army Corps of Engineers on 06-30-1960 for a Military project.